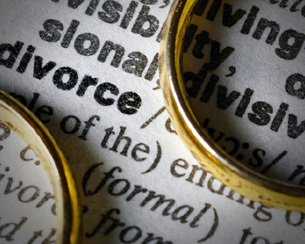 Divorce is a life-changing time for our clients where one household becomes two as savings and other assets are divided. However, life does not stop changing after a divorce is finalized. Material changes in circumstances such as new jobs, promotions and new relationship require a lawyer to review the document and pursue modifications that reflect the present, not the past. Child support modifications — Falling behind on child support because of circumstances beyond your control can only make a bad situation worse. A proactive approach is paramount when a debilitating illness or job loss reduces income. Conversely, state guidelines allow for modifications upward when the paying spouse secures a promotion or remarries. Spousal support modifications — Recipient spouses can pursue support increases as needs change. On the other side, the discovery of the receiving spouse remarrying, moving in with a partner or generating significant income can pursue termination of support. Child custody modifications — Parents relocating, a child’s expressed preference and an unsafe environment resulting in the removal of a child from the home are significant changes where the courts will modify a custody arrangement. For more than a quarter of a century, we have been serving clients in Manassas, Prince William, Manassas Park, Gainesville, Haymarket, Woodbridge, Lake Ridge, Dumfries, Bristow, Warrenton, Centreville, Fairfax, Stafford, Chantilly, Leesburg, Ashburn, Sterling, Herndon, Reston, Alexandria, Annandale, Arlington, and throughout Northern Virginia. Whether you are pursuing a divorce or modification, we know what is at stake. For more information on modifying support or custody schedules, contact us online or by calling 703-361-0776 to schedule a free initial consultation.